A top North Korean official arrived at an airport here Monday to leave for Pyongyang following a trip to Washington DC. 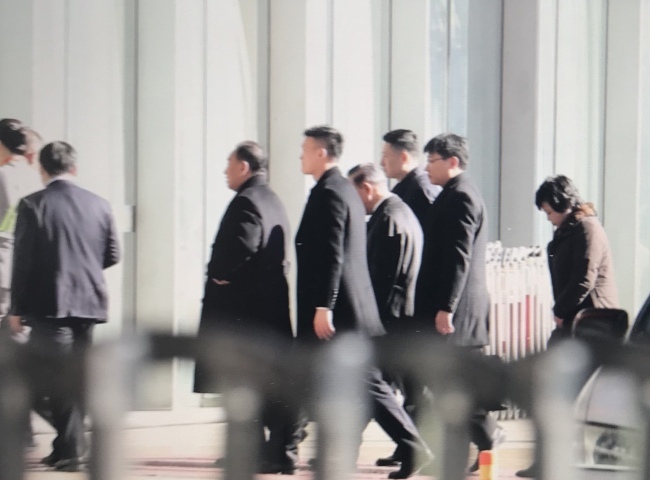 Kim Yong-chol, vice chairman of the ruling Workers' Party Central Committee, and his entourage showed up at the Beijing international airport at around 12:35 p.m. They got their tickets issued for an Air China flight scheduled to take off at 1:35 p.m. They landed here on Sunday afternoon after travelling to the US capital. Kim, Pyongyang's lead negotiator, had talks with Secretary of State Mike Pompeo and met with President Donald Trump during his three-day stay there. He had been widely expected to return to Pyongyang on Tuesday via a North Korean flagship carrier. Air Koryo operates flights between Pyongyang and Beijing on Tuesdays, Thursdays and Saturdays. But he opted for a Chinese-flagged plane departing a day earlier. "It seems attributable to the urgency of reporting to Kim Jong-un face-to-face," a source here said.